Trainings, exercises, and other local CERT events. Of all the truths in the world, one is almost guaranteed: people will come together in the wake of disaster. While disasters can happen to individuals, the more memorable disasters occur in communities where friends, neighbors, and families are affected. People will remember the destruction and the pain, but people will also remember how — after the event — their families and neighbors came together to overcome. This is what CERT is all about. The Community Emergency Response Team (CERT) Program educates people about disaster preparedness for hazards that may impact their area. Earthquakes and wildfires are the disasters that most readily come to mind for Santa Cruz County, but they are not the only ones. 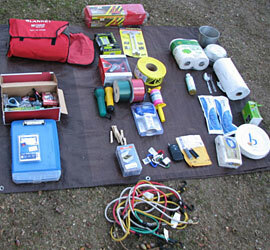 If there is a disaster, professional responders (fire, police) may not be immediately available to help. CERT trains people in basic emergency response skills, such as fire safety, light building search and rescue, team organization, and disaster emergency medical operations. 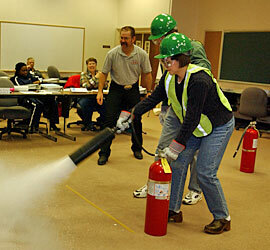 Using this training, CERT members can assist others in their neighborhood or workplace. Basic CERT training classes are held in different locations in the county. Get more information.